BuyReservations.com is committed to providing the best airport hotel options for EWR. Our airport hotels, which include parking and airport shuttle transfers, are a great alternative to airport parking*. We strive to get the most affordable rates at the most reliable hotels. Our Park Snooze and Fly package will make your travel experience seamless and convenient at Newark International Airport. *Unless otherwise noted, see Park Snooze and Fly Package Information below. The Country Inn & Suites Newark International Airport is sold out for the selected date (05/03/2019). Please select an alternate hotel or revise your dates. Our Park Snooze and Fly Package includes 2 weeks of free parking at the hotel near Newark International Airport while you're enjoying vacation and a one night's stay at Country Inn & Suites Newark International Airport the night before your flight. Alternatively, we can provide hotel accommodations on the night of your return. Lastly, shuttle transfers will be provided to Newark International Airport when you depart and transfer you back to Country Inn & Suites Newark International Airport upon your return so you may get your vehicle. If you have a late landing, staying the night of your return is also an option. You can take advantage of parking your car at the hotel prior to your flight and getting well rested at the hotel the night of your return. Our Park Snooze and Fly Packages are an excellent way to make airport parking convenient and affordable. The Country Inn & Suites Newark International Airport allows late arrival check-in so you know your room will be ready even if you have a late landing. If you need more parking than the included free parking at the Country Inn & Suites Newark International Airport, you may extend the parking duration for an additional fee of (10.00 Per Additional Day) paid to the hotel. 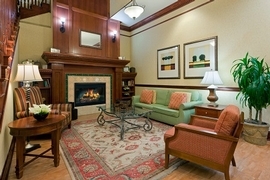 Country Inn & Suite properties are upper midscale hotels that aim to provide an "at home" contemporary atmosphere. These hotels have developed a very comfortable setting and many properties design their lobbies to resemble typical living rooms: comfortable couches, coffee tables, fire places, and more. It is easy to feel "at home" here. This well-known brand typically includes free high-speed Internet and a delicious hot continental breakfast in the morning. Wake up feeling refreshed and ready to start the day right after a stay at the Country Inn & Suites. 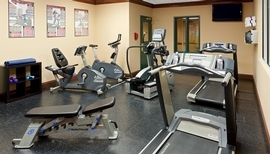 (*Please note: Country Inn & Suites properties have both standard rooms and suites. Our packages only include standard rooms.) 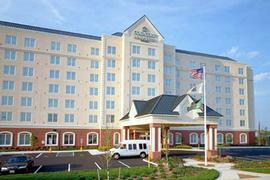 Click here to see all of our Country Inn & Suites hotels which we offer in alternate cities. Transfer Note: A 3rd-party shuttle service will transfer to/from Cape Liberty for approximately $35.00 per person (2 person minimum), round trip. You may also pay $17.50 per person for a one way transfer.If only one person needs cruise port transfers the fee will be $70.00 round trip. Transfer Note: Hotel will transfer to "airport airtrain station P4". Please allow an extra 20-30 minutes for this process.